What comes to mind when you hear the word “crate”? I think I have heard everything from “My dog doesn’t like it” to “It’s cruel and inhumane.” The most popular one is “I got my dog from the shelter and he has spent his whole life behind bars so I’m not going to put him back in a cage.” No disrespect, but I will argue that anyone who holds to these views is simply misinformed. A crate is a tool. Just like any other tool there is a proper way to use it. It can also be misused. Let’s address some common mistakes in using this tool. Mistake #1 – Owner shoves the dog in the crate without ever properly introducing him to it. Now the dog is going to “freak out” because he is in a confined space but has not been taught why or what he is supposed to do in that space. A dog MUST have a proper introduction. 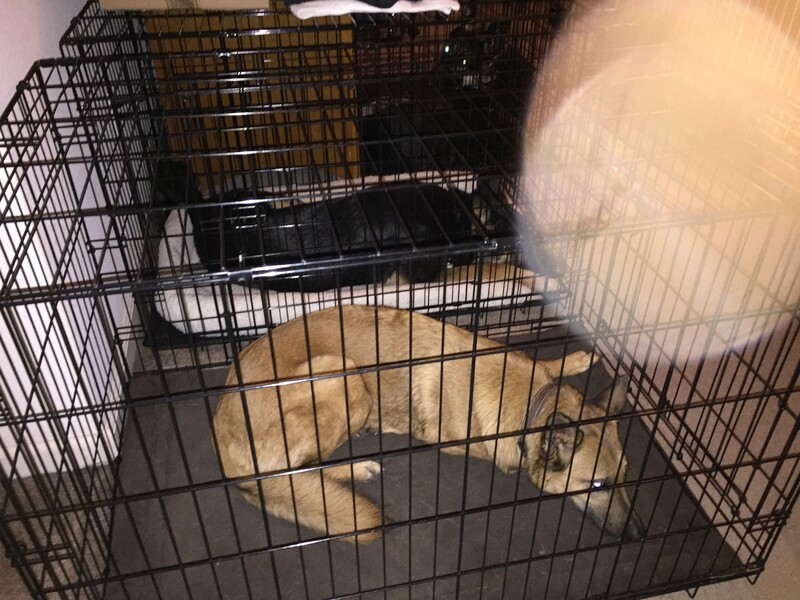 Mistake #2 – Owner uses crate for punishment. Now, I’m not opposed to using the crate as a management tool. For example, you have guests coming over and your dog is still in the habit of jumping on people then by all means crate him. Mistake #3 – Crate is too big (potty training) – The reason a puppy goes potty in the crate is because it is way to big. If the pup has enough room to go potty on one side of the crate and sleep on the other it will take advantage of that. It should have just enough room to turn around and lay down. Once he is house broken he can earn more crate space. For your sanity – why come home to ripped up furniture, trash scattered everywhere and all your sentiments destroyed? That’s expensive and frustrating. For your dog’s sanity – when you come home to a destroyed home (and there are pictures all over Facebook) it’s reflective of the dog’s mindset. Even if your dog isn’t destructive, the freedom to roam without any direction leaves your dog with stress and anxiety that they can’t shut off. A dog in a crate does not have those options – you’ve given him one option, chill out and sleep. Crate your dog! You’ll come home to a sleepy dog with your house intact.